USER SCORE:84%The percentage of users who liked this based on high quality reviews from sources such as Google Play, iTunes, and Amazon Music. Above 75% is green. ? The Wizrd is the seventh studio album by Future, released by Freebandz through Epic Records by Sony Music on January 18, 2019. Future runs a victory lap around his contemporaries with an enjoyable full-length project that highlights both his strengths and limitations as a songwriter. Future was never quite the artist who could sustain the hour-plus he persistently demands from listeners, and it’s becoming clear that he might not ever get there. 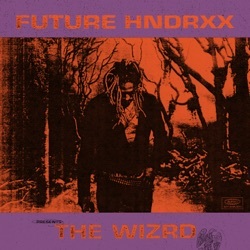 The WIZRD is a great listening experience, indicating that Future isn’t stopping anytime soon. Once again Future overloads his tracklist with songs that serve the exact same purpose on the album. Though The Wizrd does run too long (as tends to be the norm nowadays), the bangers here are bangers and make this album exciting on every repeated listen. How many times can one warble variations on “When it come to emotions, I play camouflage,” not to mention “Jumpin’ on another jet / Jumpin’ on another jet” in the same robo-tripping quaver? On The WZRD, he spends most his time refining his formula or simply being lazy. Either way, it’s clear that Future is way too comfortable. It still counts as a victory for Future, who has now introduced The WIZRD to the world. By the end of the album, it’s hard to shake the fog that the album leaves you in, unsure if you listened to anything in particular and with few really strong memories. WIZRD dazzles thanks to harrowing vocals, raw emotion, and a murderers’ row of great southern beat-makers. There’s something about The WIZARD that feels uniquely personal, despite the haze through which it’s delivered. A 20-track album is a lot. But with The WIZRD, one can barely feel it because of the smooth flow from track to track. Future's worked out what he does best: monotonous, robotic, mind-numbing trap rap. A dark, deep, nasty, heavy-hearted fog of a record. If you are content to live inside this lonely little world Future has made, he is still keeping it nice for you. While not Future's most cutting-edge release, The WIZRD is packed with great production, sticky hooks, and consistently electrifying vocal performances from Future himself. It’s another great album to add to a discography bursting with them. Future mostly misses the mark in Future Hndrxx Presents: The WIZRD, offering too many weak filler tracks and not bringing enough highlights. At 20 tracks, The WIZRD is ephemeral in nature with brief moments of Future’s best qualities: pain, arrogance, and downright cold-headed mantras. Seven albums in, there is a sense—a hint—that Future could evolve further for his next act. Its 20 songs sound like the final gasp of Future’s past depravity, undercut by his need to solidify his standing as one of the most influential artists of the last decade. The project makes little wrong, but does not stand out enough to develop a long-term special position in his catalog. The world of hip-hop and rap is changing and, while Future’s pattern works well, it becomes slightly repetitive with every listen. The WIZRD is deeply self-referential, going beyond Introspective Future’s usual self-evaluation and sounding at times like a hall of fame acceptance speech. "Native Tongue" is not without its flaws, its indulgence in power ballads making the album feel sluggish at points being the biggest vice, but the newer ideas showcased in the album prove that the water in Switchfoot's creative well hasn't dried up or gone stale. I would struggle to say with certainty this'll do well or is guaranteed an album bomb of the size of his peers, if only because I don't hear the distinctive melodic hooks that really jump off the album or anything memetic. To his credit, he has brought in a refreshed mixture of flows and production that helps the album to not feel too stagnant, but it's definitely a bit too much in the territory of "familiar". The Wizrd proves that Future still has plenty of tricks up his sleeve and that no matter how many times we see them, they still have the power to impress. He unapologetically talks about his drug-dealing ways, struggles with fame and pressure to stay true to himself, giving very specific examples whenever he got the chance. ‘The WIZRD’ has the same, repetitive patterns we’ve heard on his previous work. The well appears to have been tapped dry. Similar to what Drake did with More Life, Future explores various sounds but only if they exist within the palette of styles already mastered by the transformative artist.